The gauge of a hand knitting pattern will indicate what machine you should use with the recommended yarn. This stitch gauge is a very popular gauge for hand knitting with “worsted weight” yarn. What’s a Charting Device? Many machine knitters prefer this visual method of shaping their knitting. Draw your design and follow the outline. Cast on, bind off, increase and decrease according to the visual stitch and row indicators. 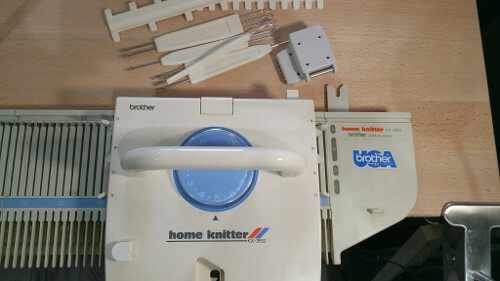 Have you ever looked at a vintage Japanese machine knitting magazine or book? Notice that the patterns are all in diagram format … but in only 1 or 2 sizes! I had to wait for everyone to be out of the house. Snuck the package into my studio. Had to hide the packing material evidence. Shhhh…..Don’t tell my better half …. I adopted a new machine! My new-to-me Brother KX 350 is so much fun! The 350 is a lighweight (translated: plastic bed) mid-gauge machine. No patterning, minimum of levers and buttons and knits like a dream! It was such a deal! Did I mention it was a great deal? 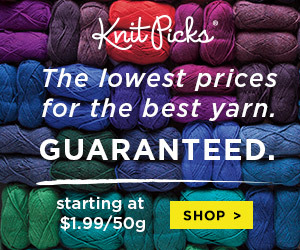 The unusual construction of this yarn appealed to me, plus it’s a closeout $5 off per ball! Seraina: Unusual construction – great colors! I plan to knit a machine knitting version of this summer top. What will you knit with this interesting yarn? 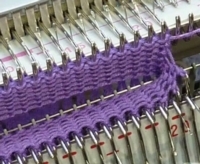 A complete Knit it Now step-by-step Course is available for knitting your shawl on the standard gauge machine or mid-gauge machine. Use any machine to knit your Dragon! When knitting in ribbing, sometimes the edge stitches don’t knit correctly. Adding a little weight can help. 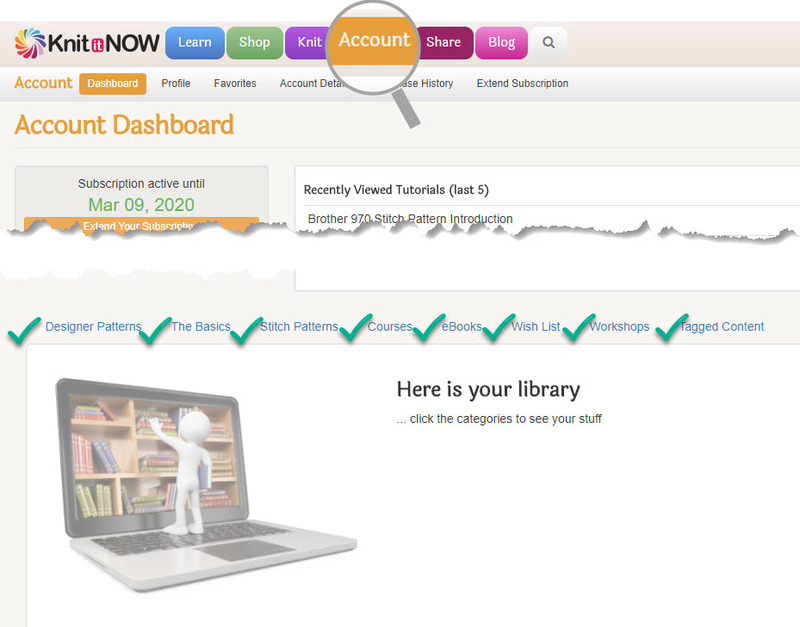 You can find all of your purchases, your subscriber bonuses, patterns, ebooks and everything in your Personal Library by clicking “Account”. Tubular knitting is an easy technique and has lots of possibilities, but . . . . how do you bind off? Think about it … maybe you normally use a round-the-gate peg bind off, and you start on the right side of the main bed. 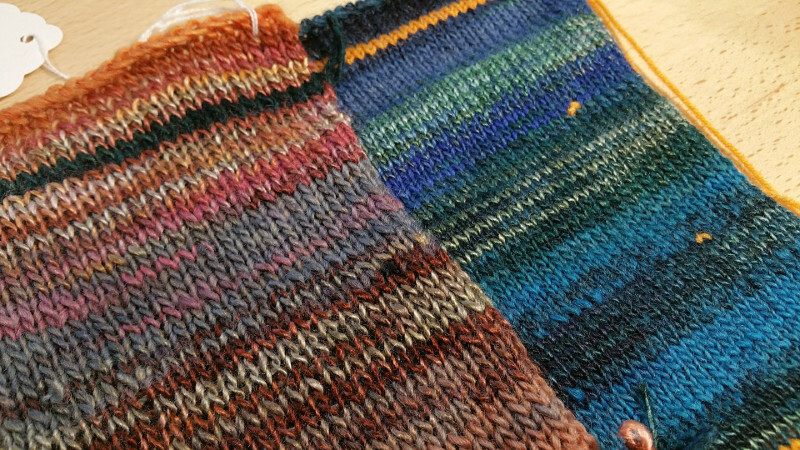 What happens when it comes time to bind off the ribber stitches … ever try working backwards and upside down on the ribber?